Can you create water out of thin air? An Israeli company is doing just that and is providing its technology to militaries in seven nations including the U.S., Israel and an un-named Arab nation. Water-Gen, the only water tech company included on Fast Company’s list of “The World’s Most Innovative Companies 2014” has a lot to teach California, which is going through one of the driest winters in modern history. This is exactly what California Gov. Jerry Brown thought as well and that’s why he recently signed a cooperative research and development agreement with Israeli Prime Minister Benjamin Netanyahu in fields such as water conservation technology. Brown said he hoped Israeli water technology could help California deal with its record-breaking drought. Originally designed to hydrate troops in severe combat situations, Water-Gen created a water generating unit that turns air moisture into drinking water. That’s right: It creates water out of thin air. The solar or electric-powered water generator, which can sit on the ground or in vehicles such as tanks, produces between 10 and 20 gallons of fresh, cold, drinking water per day. For California, Water-Gen’s water-generating technology has great potential to serve those located in the state’s Central Valley, a large, dry and rural area. In addition to the water generator, Water-Gen has created technologies that produce drinkable water from various sources, including air conditioning units’ wasted drops. 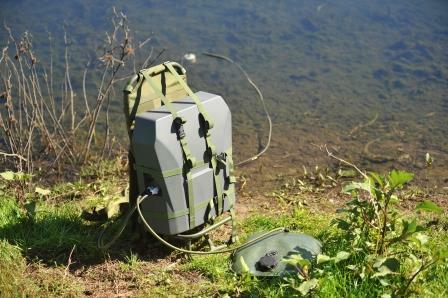 Spring, a newer product, is a portable water purifier that can clean any water source, no matter how toxic. April 1, 2019 - The atmospheric water generator (AWG) market will register a CAGR of over 23% by 2023 PRNewswireNEW YORK, April 1, 2019 /PRNewswire/ -- About this market Water is one of the necessities for living beings but is also one of the biggest sources of diseases. March 31, 2019 - Israeli tech provides drinking water to Sierra Leone kids ISRAEL21cWatergen's atmospheric water-generator pulls up to 900 liters of water from the air every day and purifies it for safe drinking.